William Robert Thomas Eggleton lived at Bray Street, Macdonaldtown. He married Sarah Tye in 1877 at age 18 in 1876 and had nine children, seven of whom survived him. After Sarah died in 1906 he married again. He and his second wife Gertrude lived at Station Street, Kogarah at the time of his death. He died on 2 April 1924. In 1891, Eggleton was declared bankrupt, which was discharged in 1909. He had been working for the Sydney Morning Herald for over 30 years at the time of his death in 1924 at 65. 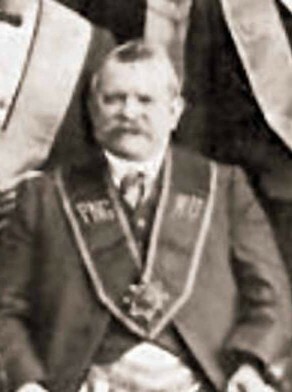 Eggleton was a member of the Masonic Lodge Kilwinning, the United Friendly Societies Dispensary and also, in 1876, the Manchester Unity Oddfellows’ Loyal St. John’s Lodge of which he later became a Grand Master. William Robert Thomas Eggleton was an alderman on Newtown Council in 1886-90, representing Camden Ward.